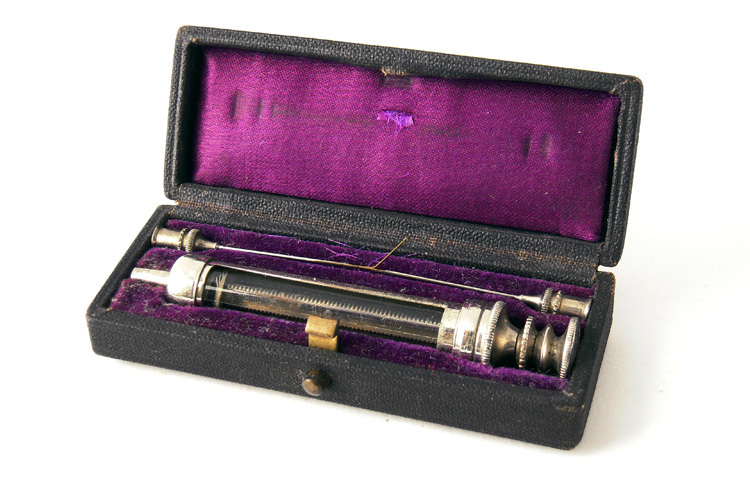 Medicantica - Antique Pravaz Syringe boxed"
A good quality antique hypodermic syringe set that includes two needles. 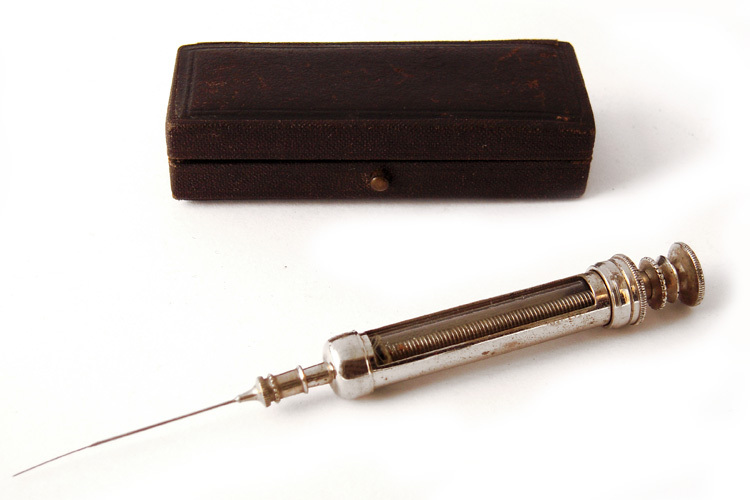 Such sets were typically used for cocaine and morphine injection. Complete with 2 needles and cleaning wire stored in the lid.Dated 1880-1900. Case size 7,5 x 2,5x1,5 cm.